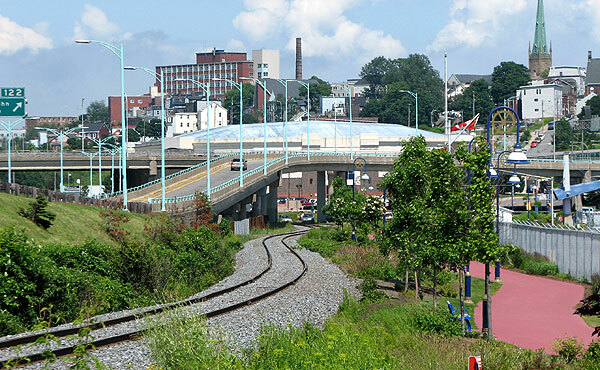 This month, I returned to Saint John for a visit. Of course, I tried to time this to occur in July when the Port City usually has less than horrible weather. I was in luck on a few sunny days and went out with my camera. 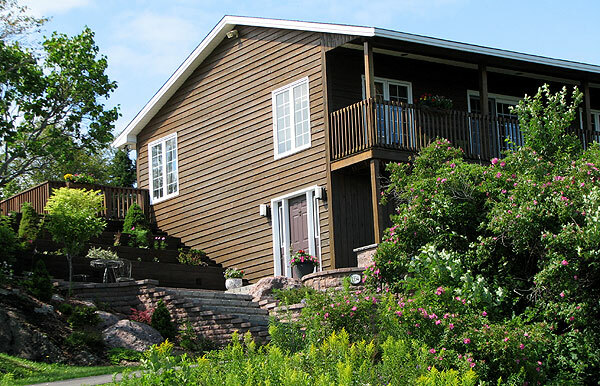 There are some very nice, well kept homes in Millidgeville. I was drawn to the colour of this house. Hopefully no one saw me, wondering why I’m randomly taking a picture of this house. 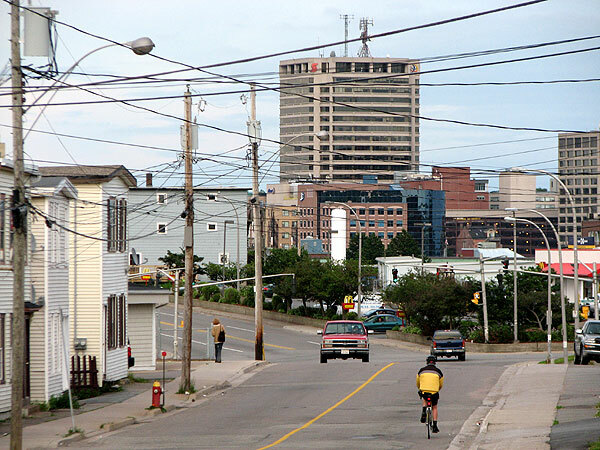 From this shot in the North End, Saint John looks quite dense! However, what you don’t see here is the large open area of mostly-empty highway lanes and roads in between the buildings in the foreground and the uptown high rises in the distance. The view from Harbour Passage is somehow one of the most scenic you can find anywhere on the ground in the city, even though there isn’t anything entirely unusual in this area. Measure twice, cut once! Work is progressing on the Market Square expansion to add new office space. 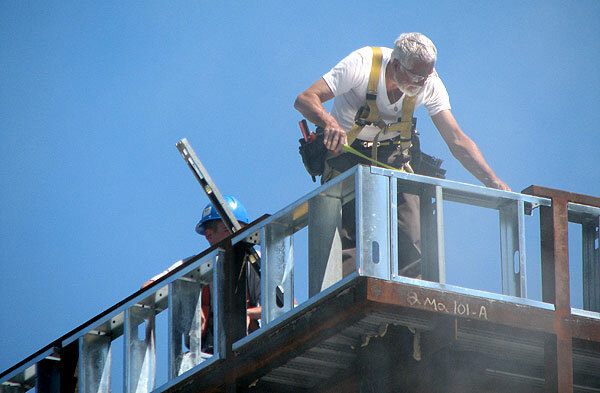 From where this guy is standing, it’s a long way down if something goes wrong! 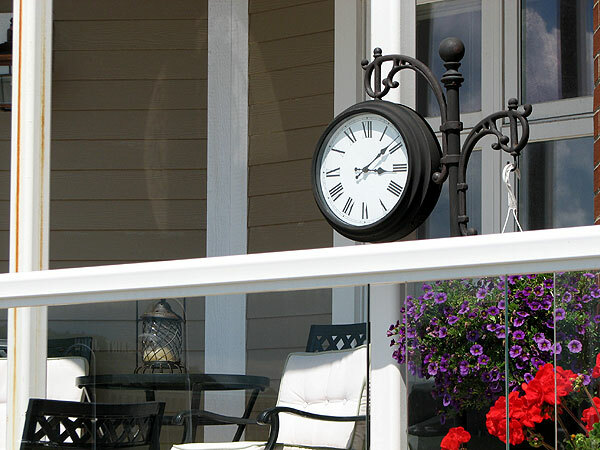 Someone’s porch has a nice, decorative clock on the patio of their uptown condo. I can’t imagine actually wanting to sit here though simply because people like me are always walking or driving by. 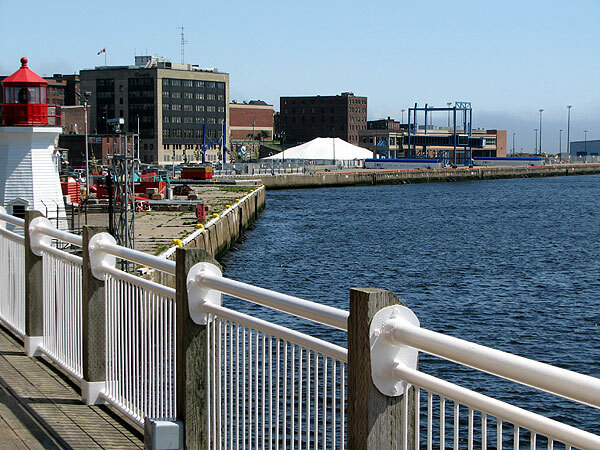 On the first sunny day in a while, Saint John Harbour is entirely void of any cruise ships. Oops. I liked the lines visible in this photo. This same picture should (hopefully) look entirely different in 10 years because the coast goard site at the left will hopefully be redeveloped. Many the city will find a way to actually use the new cruise ship terminal properly and get rid of that tacky white tent too. While we’re at, they could condemn the Canada “Customs Building” (which actually has no customs offices inside anymore) for unsightly premises. It is ugly! 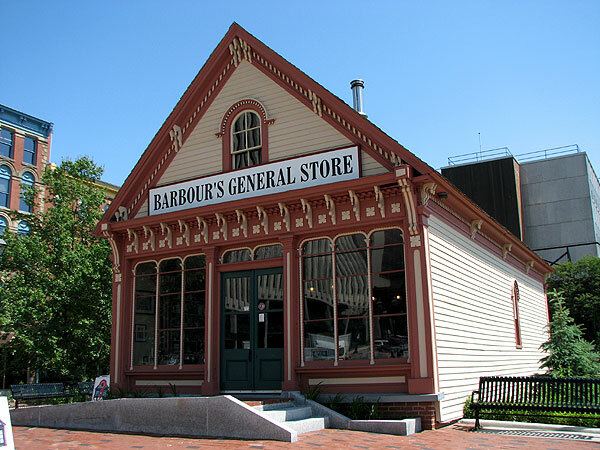 Barbour’s General Store is looking nice at its new location across from city hall. This building has moved many times in its history. It must have a solid structure! The Brunswick House office tower is visible in the window reflections. 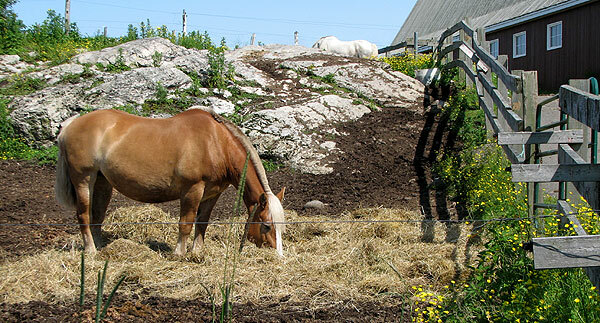 A horse chows down at Rockwood Park. It seemingly has no problem living off the system. 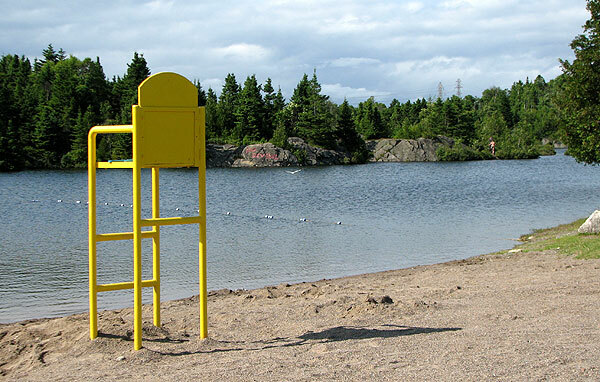 A lifeguard seat is empty at Fisher Lakes. Actually, there was lots of people at this beach behind me. 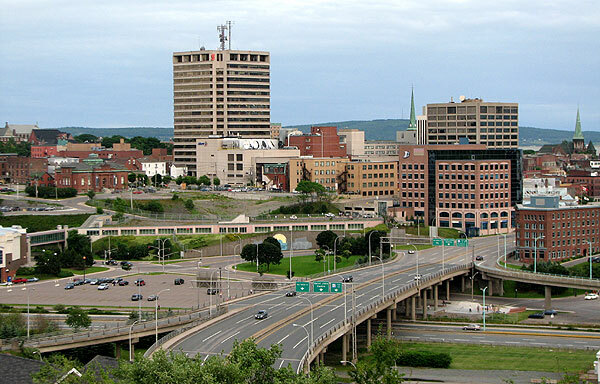 This was the last photo I took in Saint John while home, just a couple hours before I hopped on my plane to go back to Calgary.